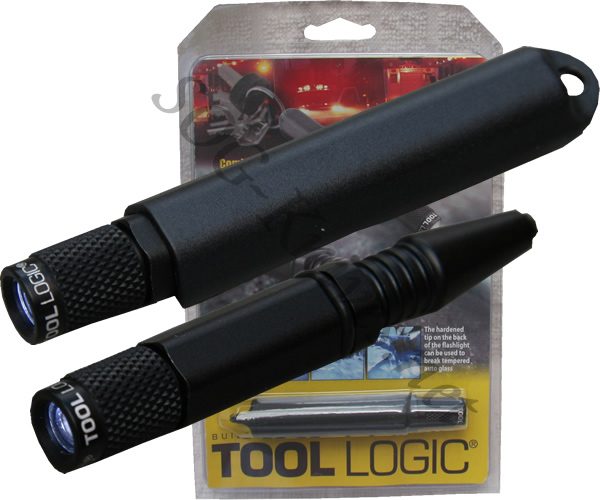 The Tool Logic K6 Rescue LED Flashlight is small enough for your keychain but big enough to cast an intense LED beam and break through your car window. The LED flashlight is waterproof for shallow immersion and fits snugly into an enclosure that attaches to your keychain. On the other end of the LED flashlight is a glass breaker that can help you escape in case of an emergency. Own a Tool Logic K6 Rescue LED Flashlight? Tell us how you like it! Got a question? Ask! Somebody will answer!